Julia had to travel halfway across the world to discover improv. Then, she came back to DC. For Julia, the best part about working front of house is getting to be around some super cool, super funny people on a regular basis. Originally from Baltimore, MD, Julia first discovered a love for performing at her preschool circus play, where she played Lion Tamer #3 and expertly diverted all attention from the other children onto her. She eventually moved to DC to pursue her Bachelors of Music in Musical Theatre with a Minor in Media Studies at The Catholic University of America, but her desire to be the center of attention at all times remains as strong as it did that fateful day. In addition to being a front of house operative, Julia is also a working actor and teaching artist in DC and Maryland. 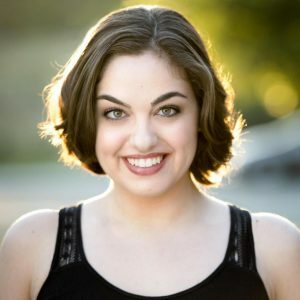 She has studied at the London Dramatic Academy Conservatory Acting Program, the UCB Training Center in New York City, C3 Something Improv in London, and the Baltimore Improv Group. Julia graduated from Catholic in May 2017 and is ready to take on the world with lots of laughter and copious amounts of caffeine.